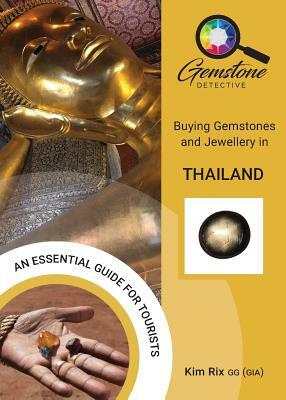 This pocket travel guide is part of the Gemstone Detective' series, created for those planning a trip to the vibrant country of Thailand. Known as the Land of Smiles', Thailand is famous for its exquisite gemstones and jewellery. Written by Kim Rix, a gemmologist (GIA) and professional photographer who has travelled to more than 50 countries, this book explains in layman's terms how to make a savvy purchase to treasure forever. If you are considering buying a gemstone or piece of jewellery on your holiday, this invaluable hand-book contains all the practical advice, tips and essential grassroots information you need to make your purchase - no matter how big or small. Whether you are shopping for a special occasion or simply for a souvenir, Buying Gemstones and Jewellery in Thailand will help you avoid the infamous gem scams all tourists need to avoid.